The treatment of difficile infection will depend on the specific needs of the patient. The first action that Dr. Yamini will recommend is discontinuing the use of the antibiotic that resulted in the infection. He will then recommend another antibiotic that prevents the c. difficile from growing. The desired result of the new course of antibiotics is to also address diarrhea or other related conditions that the patient may experience. Vancomycin has been shown to help with severe cases of difficile infection. In some cases, a patient may experience complications including severe pain, toxic megacolon, inflammation and organ failure as a result of difficile infection. Dr. Yamini may recommend surgery in severe cases where there is a risk to the patient’s life or surgery is the only option. This involves removing the area of the colon that is diseased. In all cases, Dr. Yamini has the specialist knowledge and experience to provide a comprehensive diagnosis in order to recommend the most appropriate treatment options for the patient. C. Difficile symptoms may include abdominal pain, diarrhea, nausea, vomiting and other complications. Dr. David Yamini will check your medical history and if you are currently taking antibiotics, he may suspect the presence of c. difficile infection. A number of additional examinations and laboratory tests are also carried out in order to confirm the diagnosis. There is also a risk of recurrent infection for people who have suffered from c. difficile. Dr. David Yamini will again look to medical history to determine if the patient is suffering from a recurrence of c. difficile or has taken antibiotics in the past. 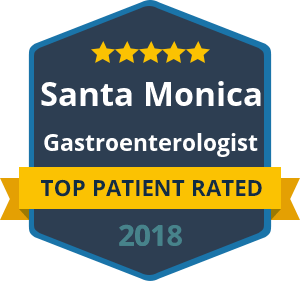 For a consultation with a specialist in diagnosing conditions such as c. difficile, reach out to the offices of Dr. David Yamini to make an appointment today.